Microsoft and Unity have been working closely to make sure that HoloLens and Windows Holographic are supported closely with the popular game engine. Unity released a special HoloLens Technical Preview version earlier this year based off of Unity 5.4, but the update today of the main Unity app, version 5.5, has all those Holographic enhancements built right in. If you are a regular NextReality reader, this is not a surprise. We have been keeping a close eye on the Unity 5.5 beta with all of its various Holographic-specific additions, such as Holographic Remoting and Holographic Emulation. Support for Microsoft Holographic is now shipping with Unity 5.5. We also improved the workflow by bringing Holographic Emulation right into the Unity Editor. 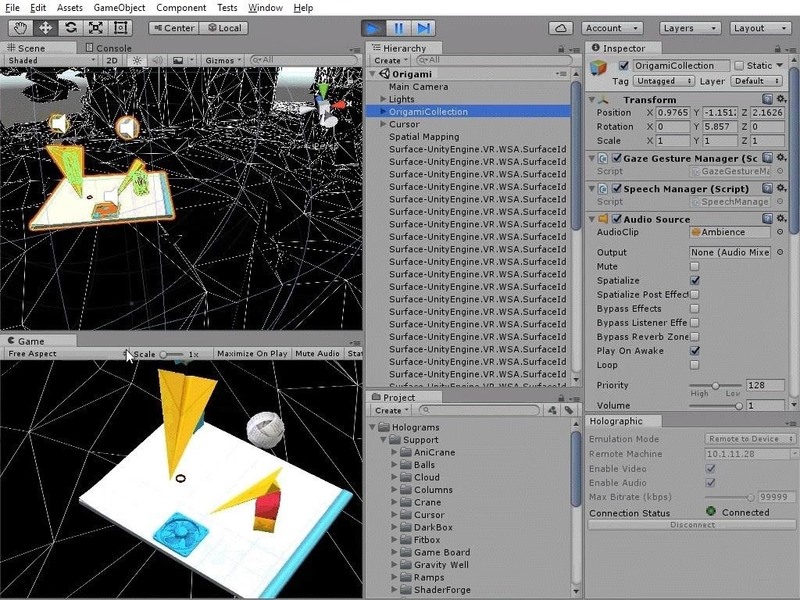 Developers creating applications for HoloLens will be able to prototype, debug, and iterate on design directly from the Unity Editor without needing to build and deploy to an actual HoloLens device. This new tool allows us to add our logo during loading very easily. Also a very important part for some users—you can also remove the Unity logo. This is one of the features that made me upgrade my Unity service pronto. With the addition of a Lights Module, artists can add cool lighting effects to the already visually appealing particle system. They have also updated and improved the Line Renderer and Trail Module quality dramatically. 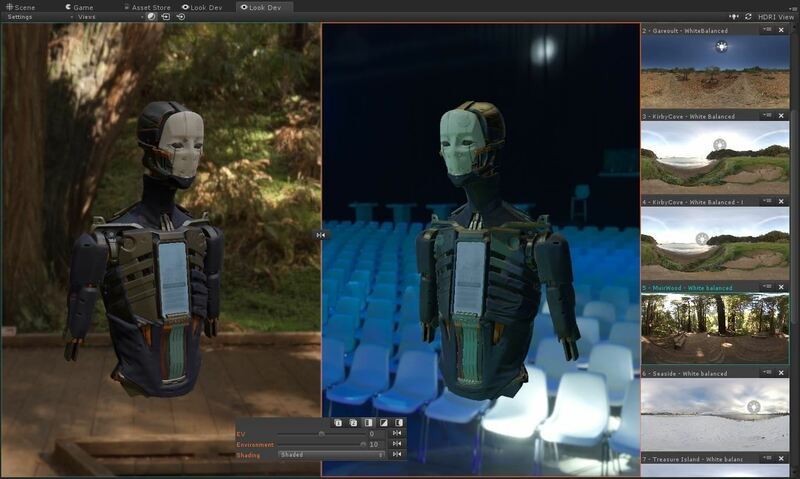 Artists needing to check out the look of their models in multiple lighting situations can now do so with ease. No need to have a selection of scenes to go back and forth with anymore. 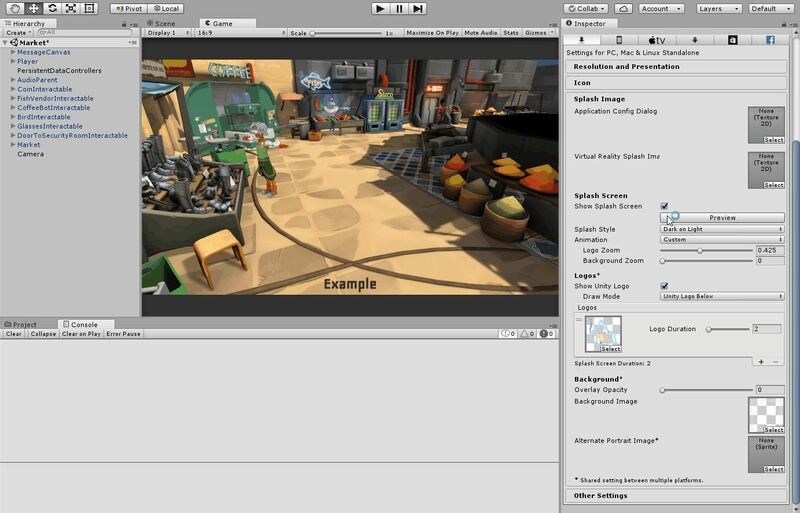 These are just a few of the new features added to Unity 5.5. To see them all, check out Unity's full blog post. It's great to see Unity giving us a constant stream of updates—to the point that you almost have to set a limit to how often you allow yourself to update. I am almost willing to bet that in three days, beta 5.6.01 is up and running with new features ready to go. And if you are listening out there, Unity team, you should have a way to get the HoloToolkit and import it from inside Unity at the click of a button. As often as I prototype, the 10-15 minute start to each project is driving me insane. What do you think about this update? What features would you like to see added to help HoloLens development? Let us know in the comments.